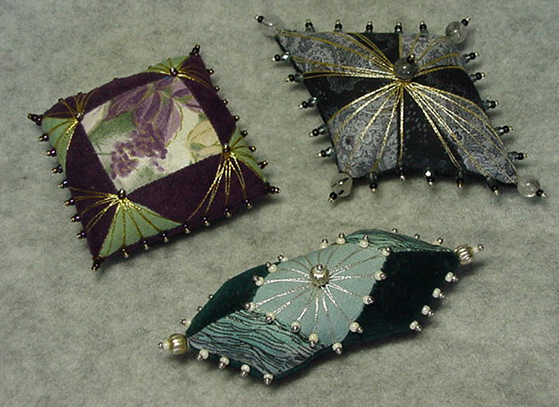 Pattern contains three pieced pincushions: Diamond, Emerald, and Garnet. Each incorporates the use of beaded pins and metallic thread wrapping techniques. Perfect use of scraps of left over fabric from previous projects.